Fun table arrangements, tablescapes and centerpieces – I use bits and pieces of these for inspiration for my own. Flowers and greenery, candles and ornaments are the 3 items I use most. This could be a super simple center piece. Just add some greens to a hurricane candle you already have on your table. Cranberries in a glass vase with water and flowers. Pretty simple and easy to execute. Loving the snowglobe! They’ve switched off with ornaments and snowglobes. Loving the sugar-rimmed glasses. Perhaps to fill with a mimosa? This may be a bit much for me to pull off for my Christmas Eve party. so, so cute… putting ornaments on cake stands. Some bling on the table. I love, love, love the idea of using a chalk board to write holiday messages. 1. Place a table cloth on your dining table. 2. Place the dinner plate about half an inch from the edge of the table. 4. Next to the knife comes the spoon. 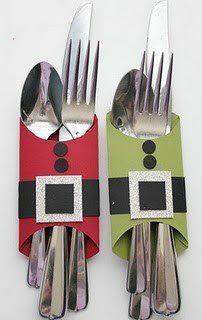 above the plate, horizontally along with the dessert spoon. 6. The drinking glass and wine glass are to be placed to the right of the plate, just above the knife. 7. The forks are to be placed to the left of the plate. First, the salad fork (the smaller one) goes on the outside and the dinner fork (the bigger one) is placed closets to the plate. 8. 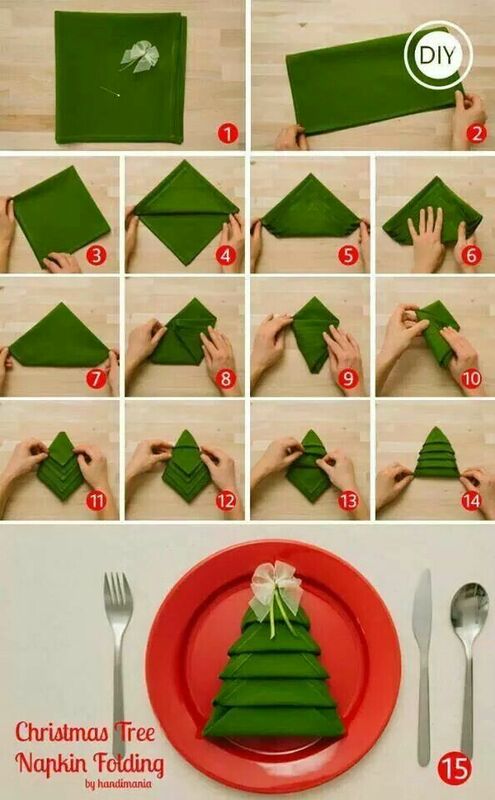 The napkin can be placed below the forks or can be made as a napkin rink or bow. 9. Bread plate goes above the forks. 10. Salad plates go immediately to the left of the forks. Fun, busy week. Went to a fabulous dinner at Joe’s Stone Crab, which happens to be one of my all-time favorite restaurants. Hosted by 3 of my favorite cities, thrown by my very best friend. I got to sit with Jay and Tom, 2 of my very favorite men, ever…and see Phyllis and Darlene and Tracy and Robert and Deidre…well, you get the idea. Great night. Great food. Great wine. Great friends. Me and my neighbor gals, celebrating with our My Favorite Things exchange. I think I’ll post what we exchanged and can probably do that next week. Donna is always the “hostess with the mostest” and truly the best cook I know. My favorite part of the night was hearing C proclaim that “Terry was onto all the trouble with the Bears and Jay Cutler years ago with her blog posts about Jay Cutler Needing a Life Coach”. Truly, it’s the little things that make me happy! Murphy likes to go look at Christmas lights. We take her every night. When I happen to be out (on the rare occasion), the kids take her. Our neighbors and friends, the Kazmiers, have a Fantastic light display, coordinated to music. Here’s to family and friends… and the true meaning of the season, being with those you love and missing those you can’t be with. I’m as funny as I thought.